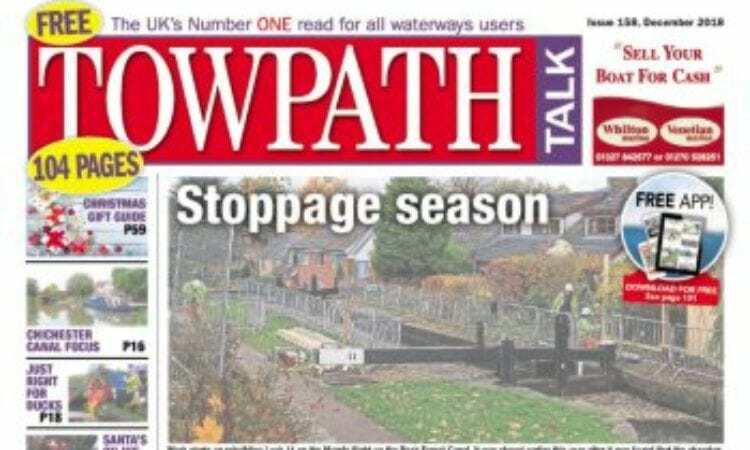 Your December Towpath Talk is out now! As the end of the year approaches, and the fireside beckons, for many boaters it’s a good time to take stock and make sure their craft is secure and safe for winter. But if you live aboard your boat, or are planning a family get-together on board, you’ll need to be prepared for wintry conditions. 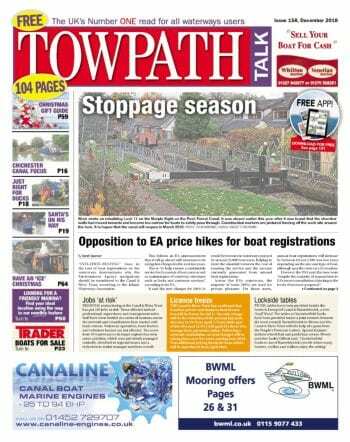 Inside your packed, 104-page December issue of Towpath Talk you’ll find plenty of guidance and advice in our technical pages if you are planning to use your boat through the forthcoming season. Many people will be doing so, and the thought of a festive lunch on board, followed by Christmas afternoon dozing in front of the stove, is enough to tempt lots of revellers away from bricks and mortar and on to the water! The latest issue, which is available at chandleries, or viewable on the website or via a free app if you prefer a digital read, is filled with the latest news. 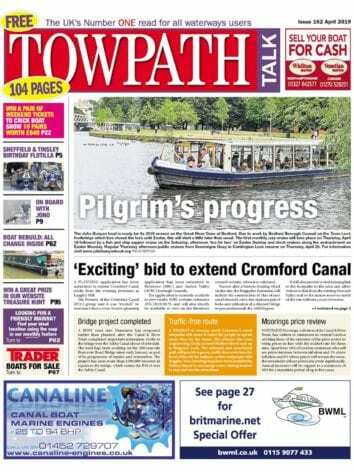 Towpath Talk was saddened to hear of the death of journalist, photographer and all-round waterways ‘good guy’, Harry Arnold, a regular contributor to the newspaper and a stalwart of the boating scene. Editor Janet Richardson has been out and about, learning about HS2 and how Chesterfield Canal Trust is planning to keep its restoration plans on track pending the outcome of the high-speed rail proposal’s latest consultations. Janet also attended Grantham Canal Society’s annual Discovery Day and enjoyed the beauty of the Chichester Ship Canal. Animals aplenty also feature… the latest issue has a picture of elephants arriving on the Thames in the 1950s, while Alison Wilkerson meets a devoted dog – found in a wheelie bin – who, thankfully, is now having a wheelie great time living on board a historic narrowboat with his new owners. Dogs Trust Shrewsbury helped a couple find their ‘first mate’, too – a rescue dog called Hendricks, who’s an 18-month-old spaniel cross. Phil Pickin takes a look at the wildlife that can be seen as Christmas approaches. There’s also news of ‘mystery cats’ spotted alongside the Thames! If you’re in the market for a new boat, or are thinking that 2019 might be the year that you might take to the waterways for the first time, make sure you check out the Trader pages of the newspaper. Happy browsing!